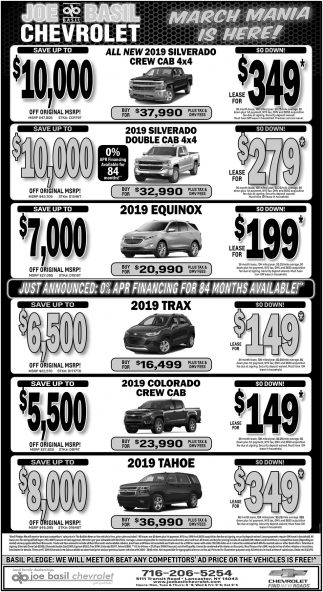 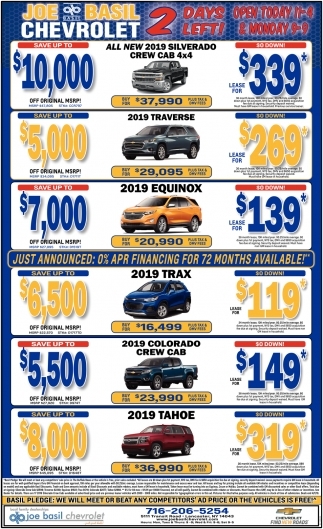 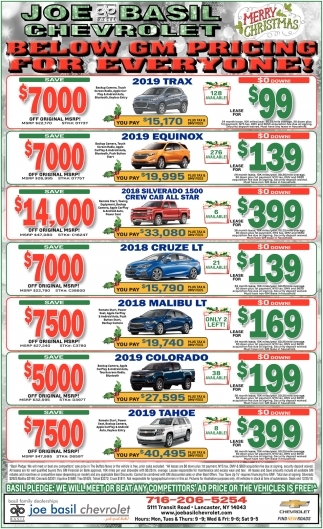 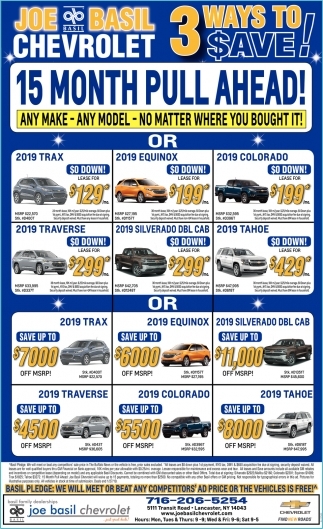 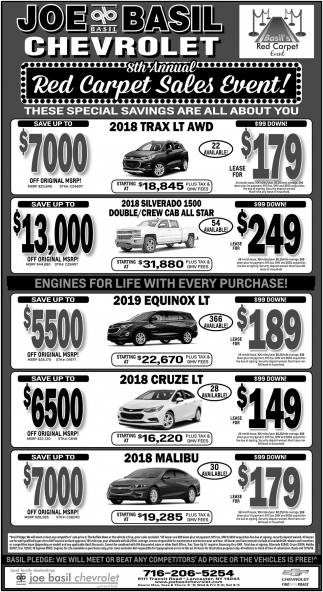 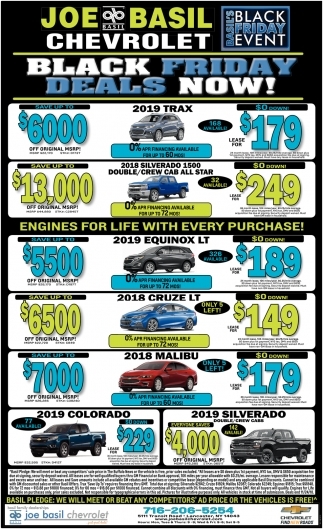 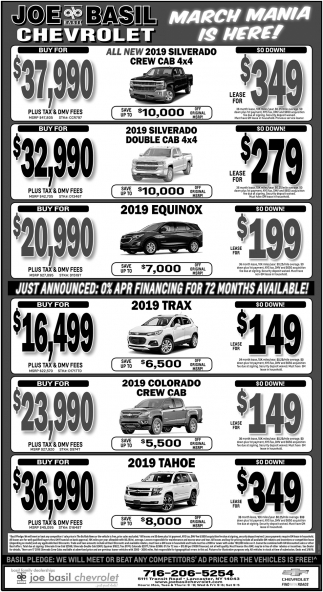 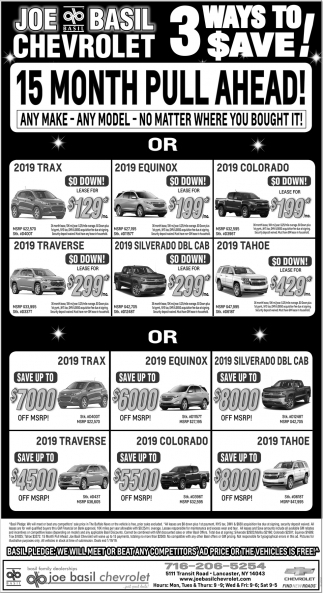 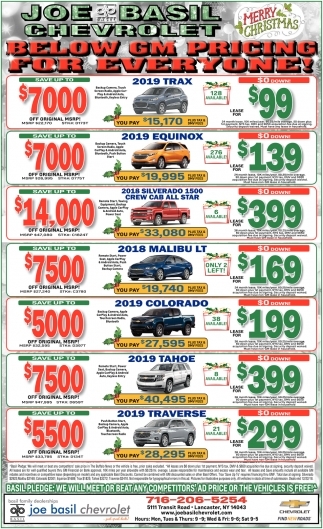 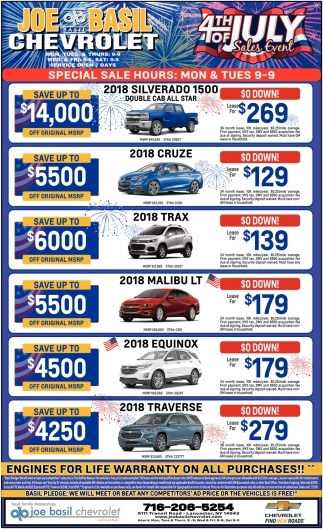 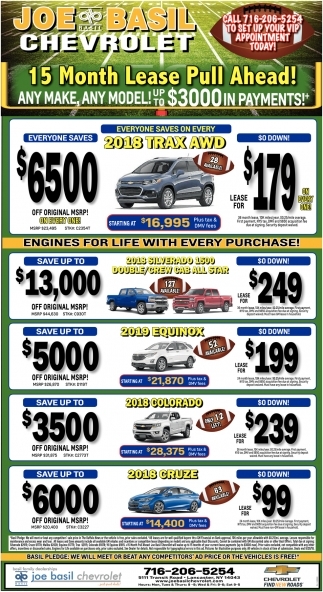 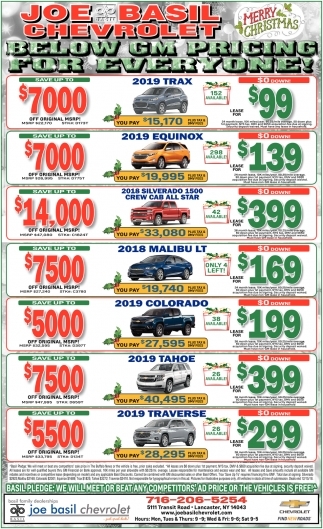 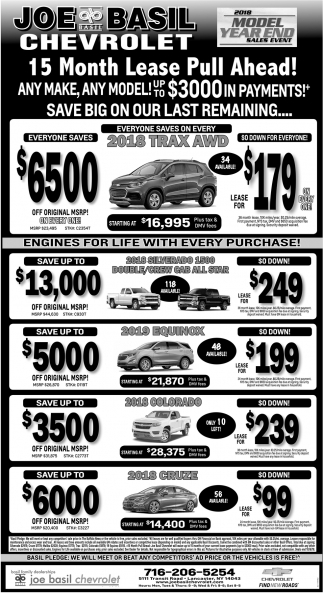 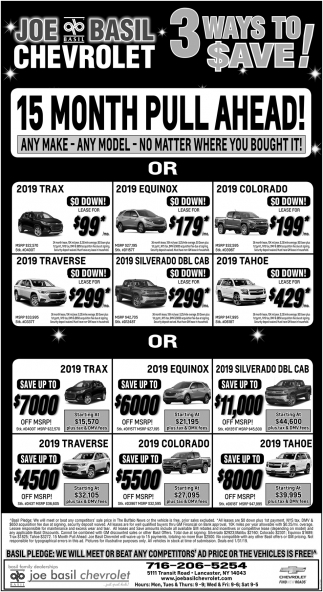 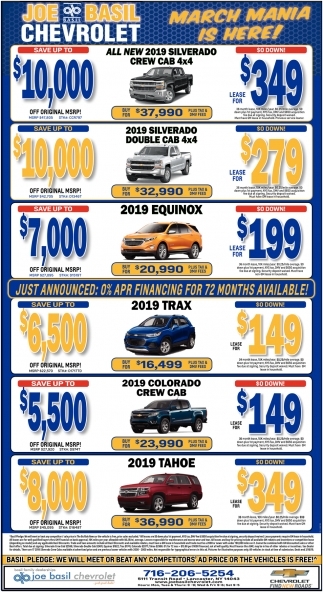 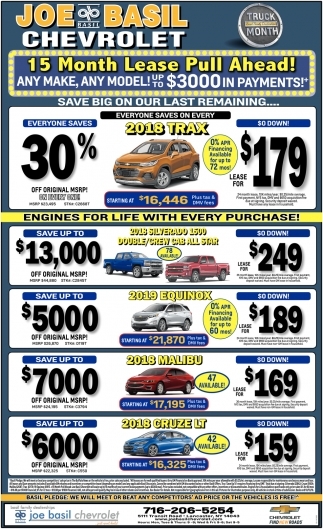 Our Best End Of Year Deals! 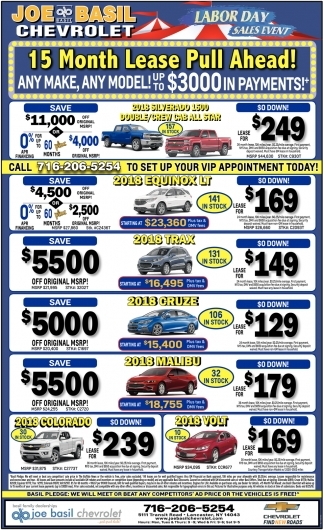 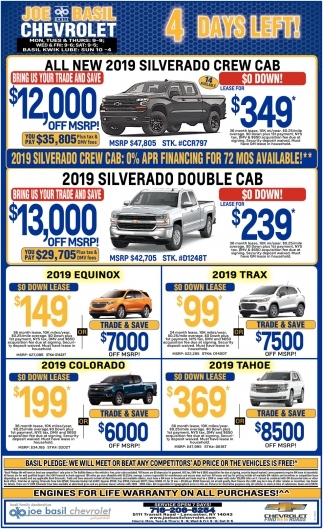 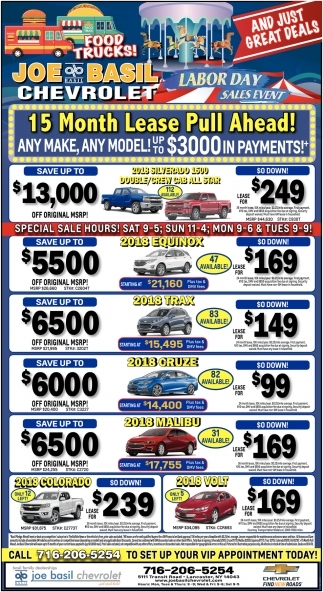 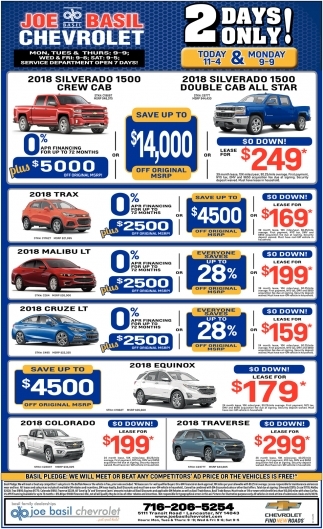 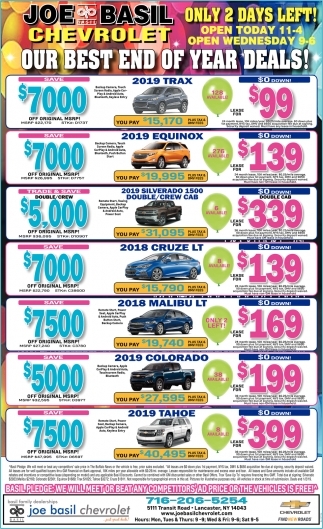 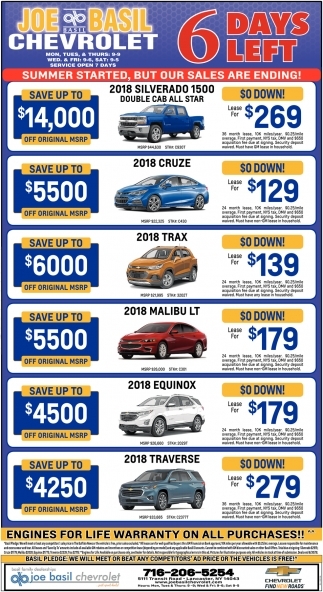 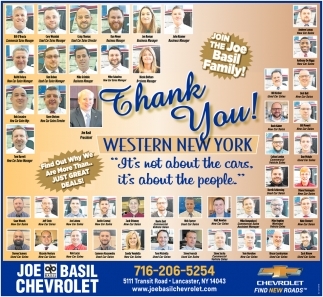 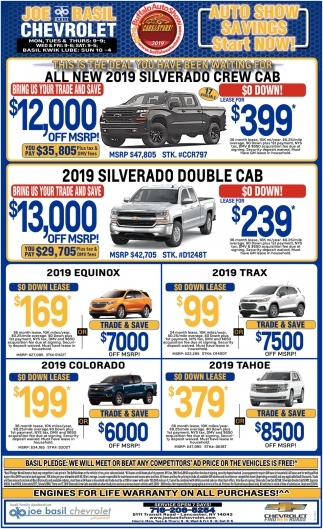 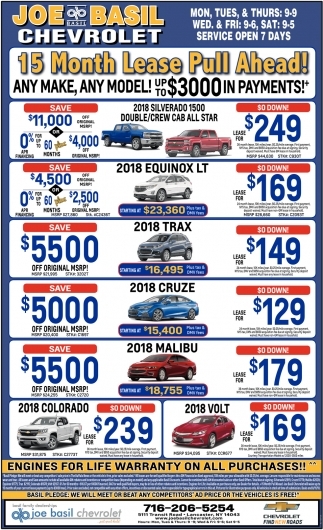 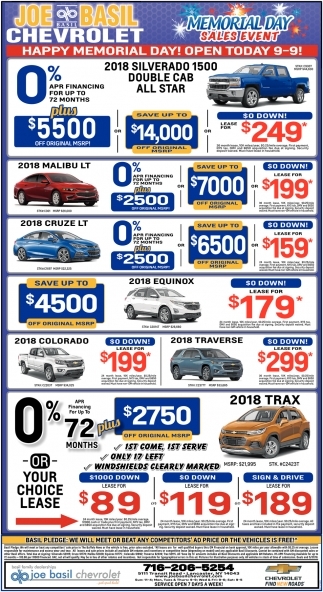 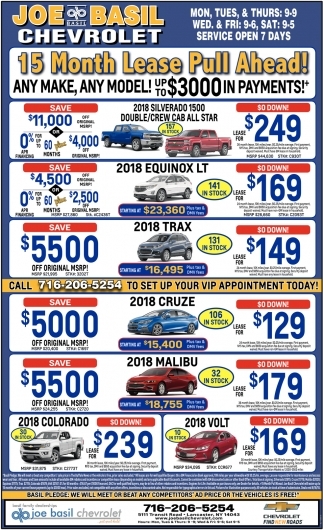 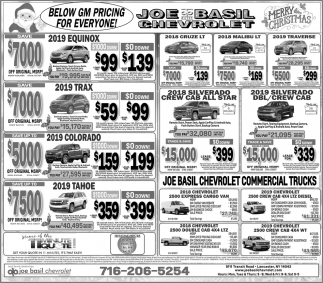 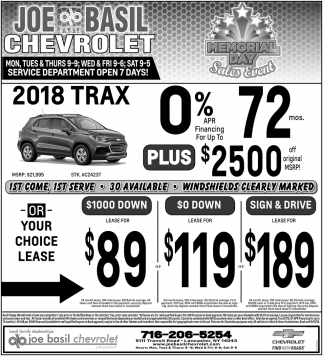 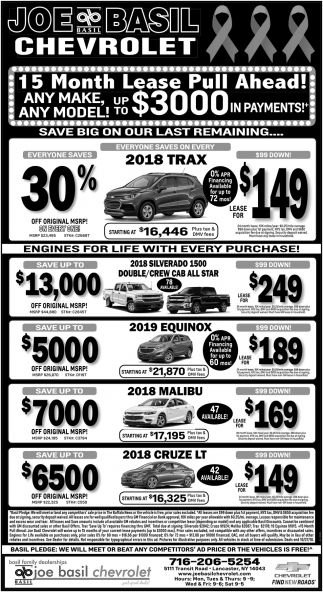 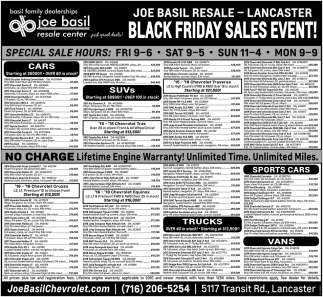 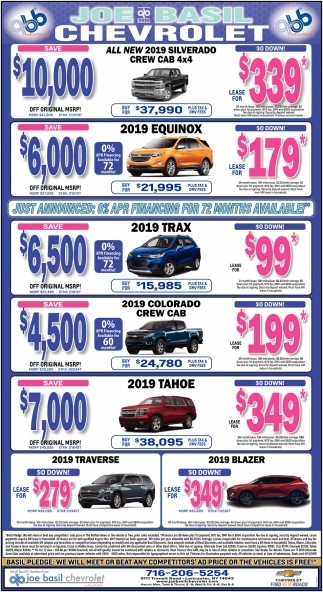 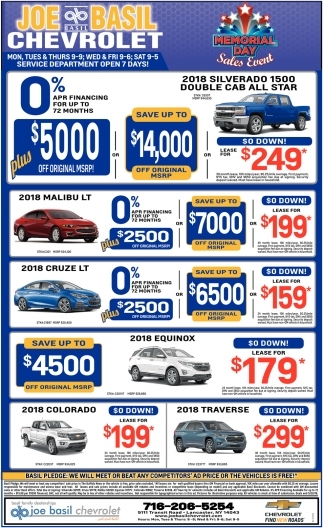 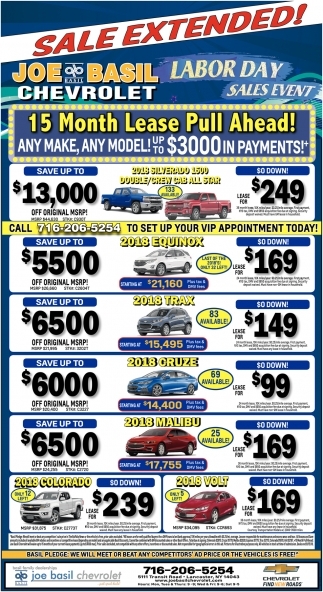 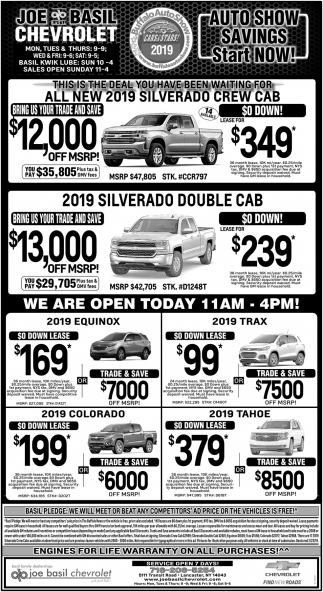 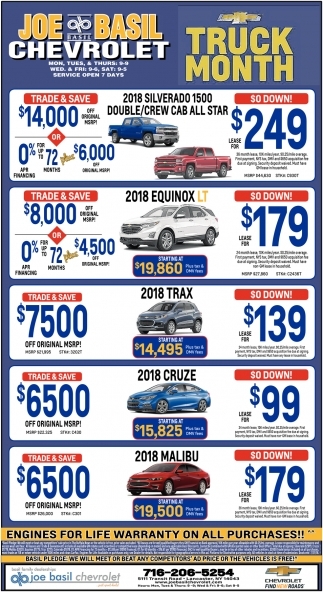 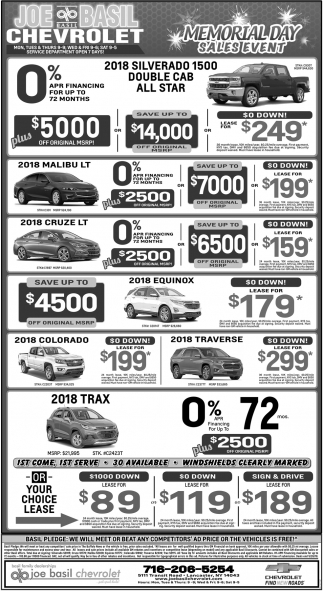 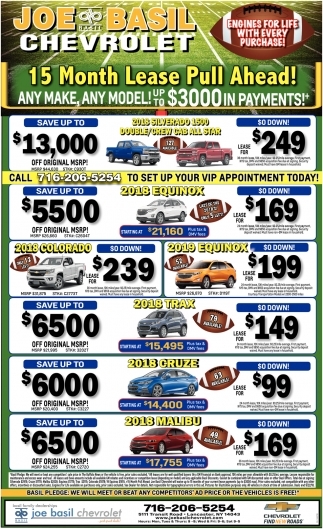 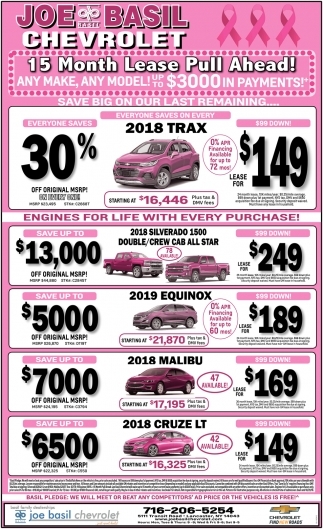 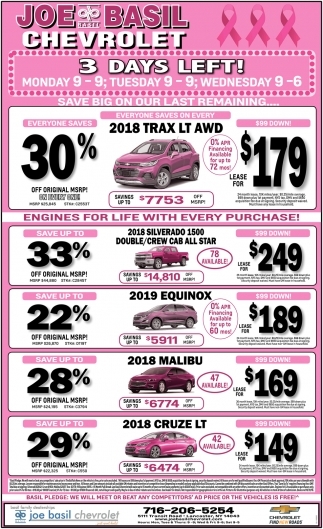 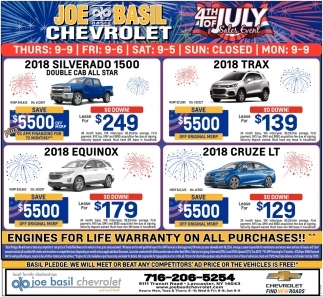 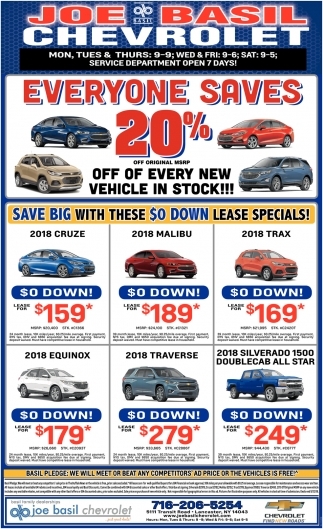 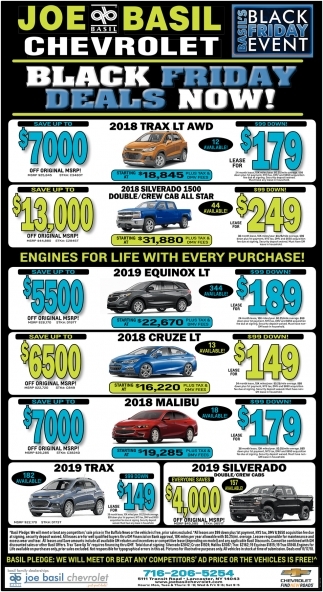 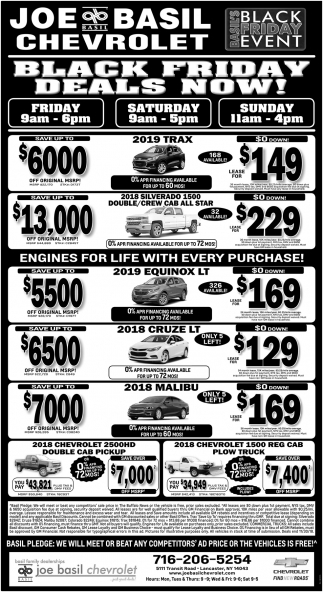 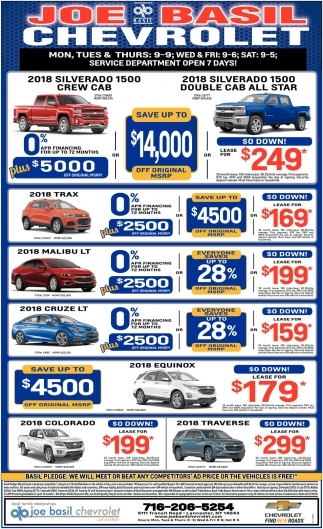 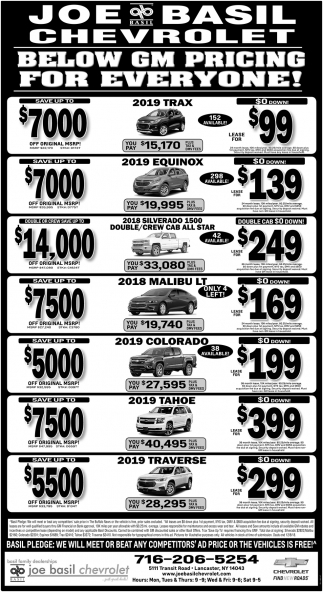 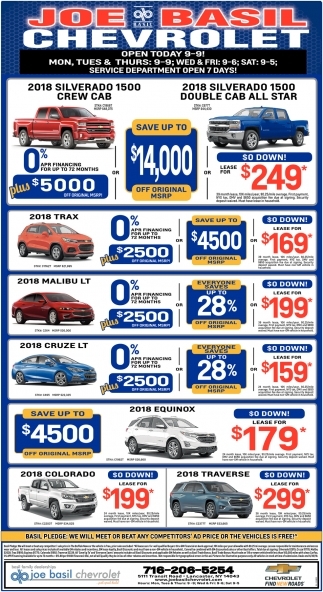 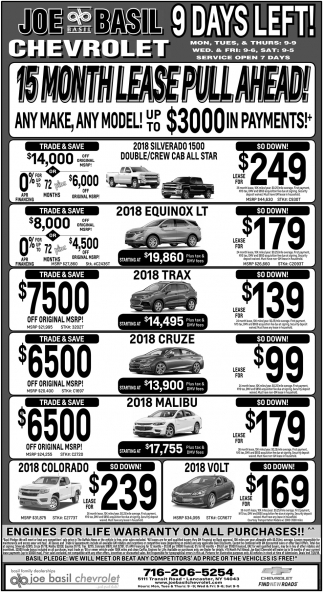 Below GM Pricing For Everyone! 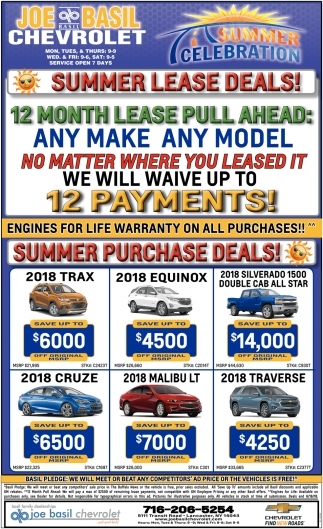 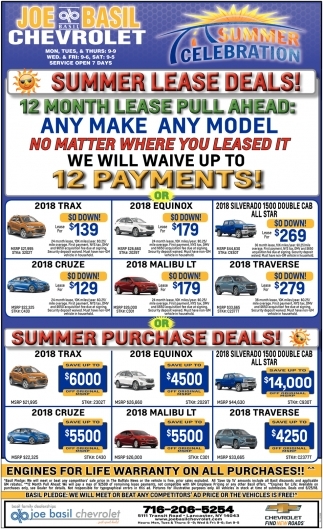 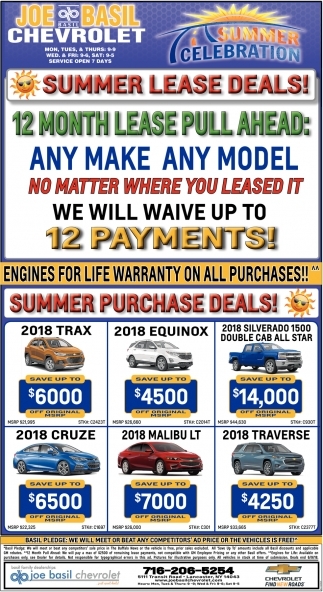 15 Month Lease Pull Ahead! 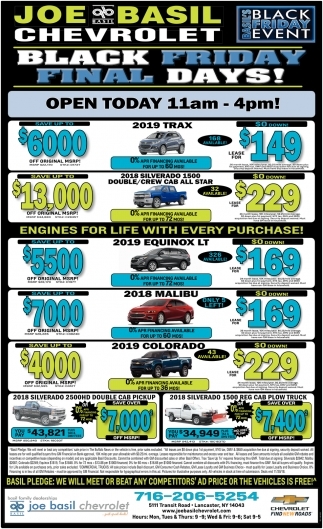 Service Department Open 7 Days!